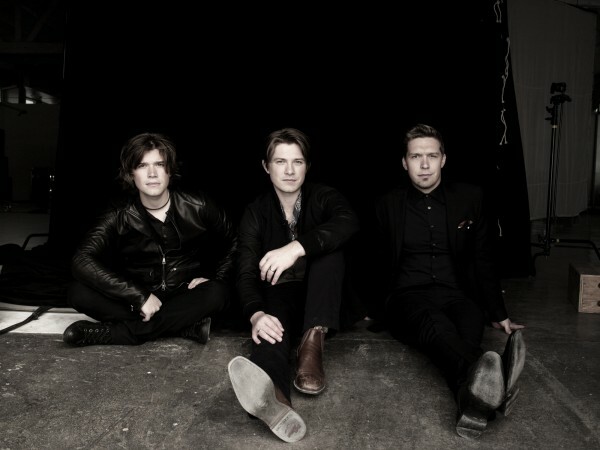 It’s been almost 20 years since they Mmmbopped their way to the top of the charts in Australia, and despite musical and personal ups and downs the band of brothers known as Hanson are making music better than ever. The trio from Tulsa, Oklahoma have just released their sixth studio album,Anthem, which eldest brother and guitarist Isaac describes as having an “aggressive nature to it”. The release is being likened to AC/DC’s High Voltage, full of raw energy and bold guitar riffs, but is still recognisably Hanson with their trademark melodies and ‘60’s-inspired soul style. The guys have certainly never shied away from hard work and they have a lot to show for it. Between ever-expanding families, the trio also participate in countless fan-only events, take to the streets with their HIV/Aids charity Take the Walk, release music under and run their own label 3CG, and have even released their own beer. The opportunistically named Mmmhops was created to coincide with the 21st anniversary of the band. Growing up and working closely together for over two decades can’t always be easy and Isaac reveals there was a possibility that Anthem might never have been made. “We had a bit of a falling out. We spent very little time together in the summer of 2012. Tensions got high and things got said that shouldn’t have been said and people were reasonably upset. Actions and words do hurt sometimes. You have to take a little bit of time to learn to say you’re sorry. We took that time and then walked in carefully to the process and luckily made a record that I feel extremely proud of, but it wasn’t without its challenges,” he says. Just “don’t mistake good manners for passivity,” says Isaac laughing, “we’re not wilting flowers by any means”. Those extra shows will include set-list voted gigs – where fans can visit the band’s website and vote for the songs they want to hear. This is something that Isaac shares Hanson find really fun to do. “We try to find things that we feel would be interesting if our favourite band did it. The good thing is whatever the fan’s favourite songs are, they get to decide and it doesn’t really matter what my favourites are,” he says.